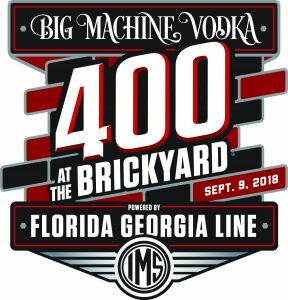 Updated schedule for the Brickyard 400 on Monday, September 10, 2018, at Indianapolis Motor Speedway. 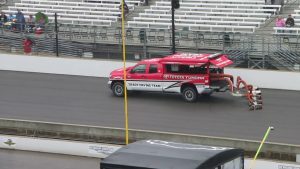 2018 Brickyard 400 track drying efforts at Indianapolis Motor Speedway on Sunday, September 9, 2018, shortly before the scheduled 1 pm race time. 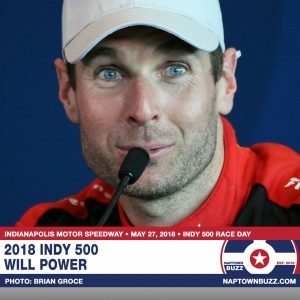 The Indianapolis Motor Speedway regrets to announce that persistent rain has forced the postponement of all NASCAR track activity Saturday, Sept. 8 at the Indianapolis Motor Speedway. We deeply regret to announce that today’s FGL Fest at the Indianapolis Motor Speedway has been canceled. 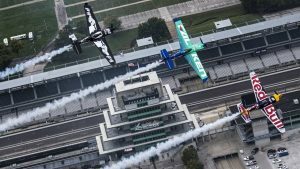 Stop 7 of 8 of the 2018 Red Bull Air Race will be held at Indianapolis Motor Speedway on October 6 & 7. Photos from the Red Bull Air Race 2017 Photos at Indianapolis Motor Speedway on Saturday, October 14, 2017, & Sunday, October 15, 2017.